As a new IB teacher in our school, I was apprehensive about my first collaborative meeting. The collaborating teachers and the PYP coordinator were experienced and well versed in the IB. However, it was quite reassuring that there are essential agreements to collaborative meetings at our school which includes being­­­­­­­­­­­­­­­­­­­­­­­­­­­­­ non-judgmental and respecting each others idea. In one of our meetings, we were discussing a unit on economic activity where we wanted the students to come to an understanding on how economic activity relies on systems of production, exchange and consumption of goods and services. The meeting was focused on the central idea and the “CASKA”—concepts, attitudes, skills, knowledge and action. The discussion felt like a maze to be navigated. Sorting out the information and organizing it in my mind was like solving the Schrödinger’s equation! During the discussion, I listened carefully to understand the flow. We discussed the central idea and the three lines of inquiry. The first line of inquiry was about the role of supply and demand and how is it related to the process of production. The second line of inquiry was planned to link distribution of good and services to the production and how it reaches the consumers. Not only that, we had to plan it in such a way that our students will understand roles of various intermediaries and arrive at an understanding on their rights and responsibility as a consumer which is the third line of inquiry. It felt like a tall order for the students, as in addition to this, we also wanted them to improve on their self-management and thinking skills. The learning engagements had to be provided in such a way that the learner profile attributes of being balanced, principled and the PYP attitude of commitment were also nurtured. During the meeting, a question was asked “What are the ways in which we can introduce supply and demand to our 9-year old children?” I wondered if I could share an idea. Although a little hesitant, I spoke up and suggested that perhaps the kids could explore their immediate surroundings: the school. It elicited a volley of rapid-fire questions from my PYP coordinator: “What will they explore? How will they explore? What will be the next step? What are you expecting to be the outcome?” My PYP coordinator was urging me to think further and elaborate on my idea. Because of our essential agreements for collaborative meetings, I knew that exploring multiple answers to even a single idea was the way forward. I understood that the questions were being asked to understand my thought processes and give everyone including me more clarity. Needless to say that I felt like I was a radioactive atom exposed to high speed particle bombardment. At the end of our meeting, the PYP coordinator congratulated me for my excellent idea and suggested that we change the earlier plan and use my idea. She explained that “this is what a collaborative meeting is all about”. I was surprised that my idea was accepted but I was told that you are never too experienced or too new and every idea deserves a discussion. After listening to others, expressing my views and collaborating I felt that I had sufficient clarity to implement the PYP in my classroom. That was my first LECI (Listen, Express, Collaborate and Implement) moment in my first collaborative meeting! 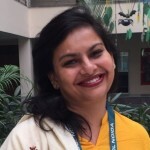 Kriti Nigam has taught different curricula over the journey of 13 years of facilitating at different grade levels. She has been working at Pathways School Noida. 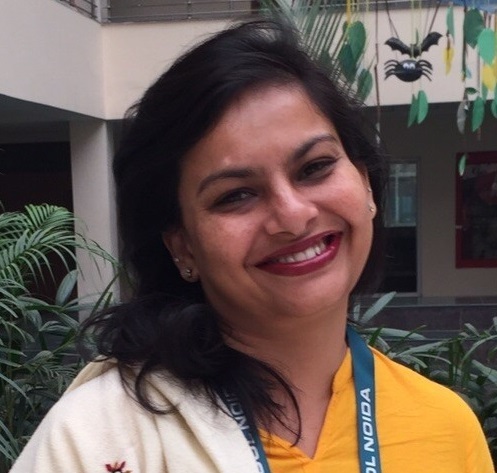 Currently, facilitating grade 5, Kriti loves collaborating, exploring new ideas and implementing innovative interactive teaching methods. What a great article! I love the idea of essential agreements for collaborative planning. The PYP can be quite a beast of burden for new teachers and creating a safe space for questions and suggestions is a true way to model the profile and grow each school’s programme of inquiry. Thought provoking..large part of the day with exposure to multifarious activities and wide spectrum of minds is spent in the school which is the right arena for exploration. Very well written. Congrats. Kriti, sounds like your first collaborative meeting has enthused and excited you for many more future opportunities that await you. Believe it or not, I love meetings (my colleagues think I’m crazy). Great article, well written and sentiments perfectly expressed. That’s an amazing idea of your school’s essential agreement, I really loved the article. This school’s culture simply provides innovation, risk taking, and teamwork which any teacher or employee needs to be able to be productive. Thank you for sharing your experience Kriti. I worked under a PYP coordinator who worked in Pathways and I could clearly picturize how it could have been. Loved the essential agreement part. Leave a Reply to Sujata Patnaik Click here to cancel reply.